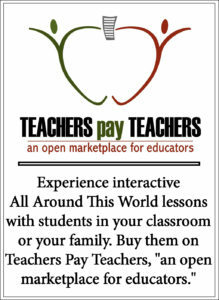 All Around This World’s exploration of Latin America includes sing-along, dance-along classroom and homeschool lessons about Ecuador for kids . . . Meet the world through music –“come to class” with Jay. 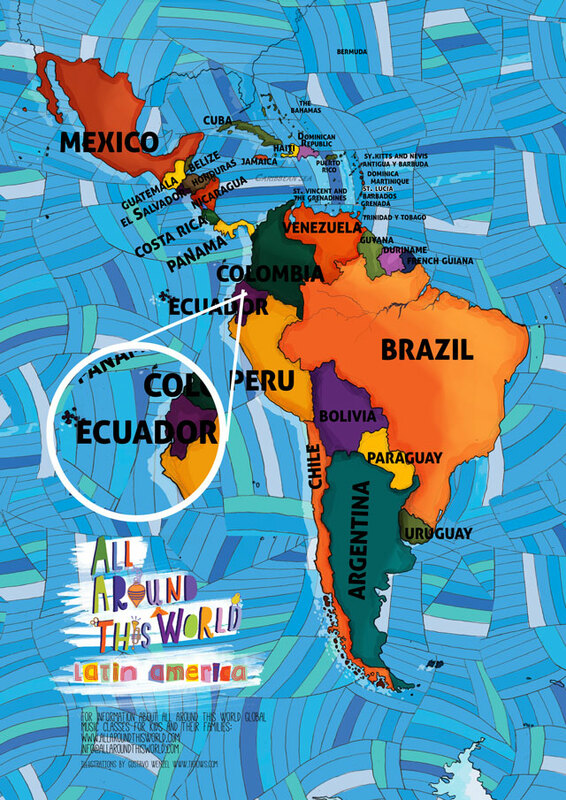 This week in music class class we travel with great excitement to Ecuador. We’re excited about exploring Afro-Ecuadorian music. We’re excited about greeting each other in Kichwa. We’re very excited about lumbering around the room like giant turtles of the Galapagos. Explorations in Ecuador for kids can be loads of fun…so, let’s go!